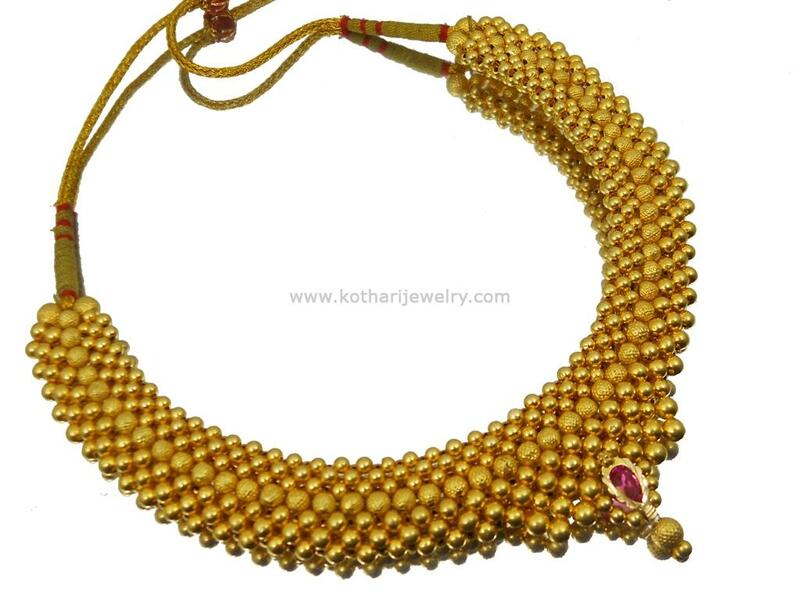 A unique design of 22kt gold beads necklace from Kolhapur, Maharashtra also known as " Gold Thushi ". this gold thussi necklace is completely designed with minute gold balls of varying sizes closely knit by specialized craftsmen. 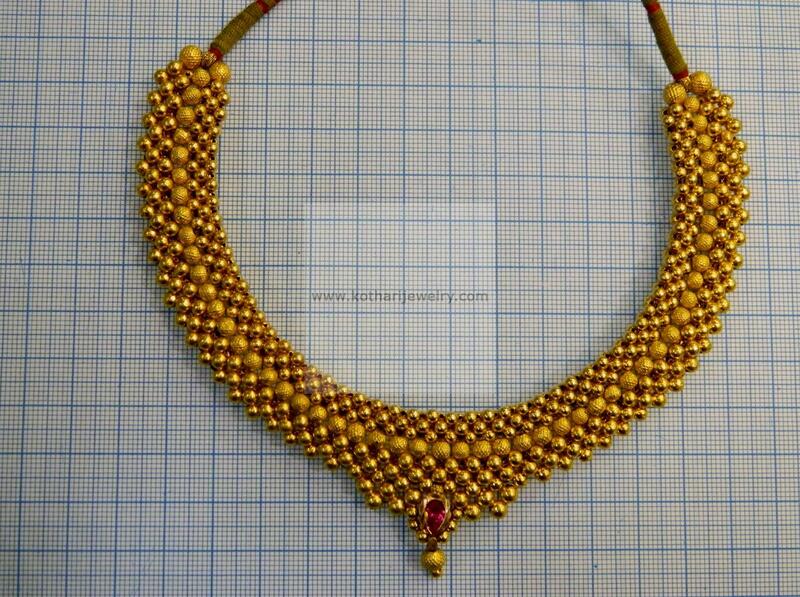 The thushi is entirely manufactured in 22kt hallmarked gold with supporting laakh. 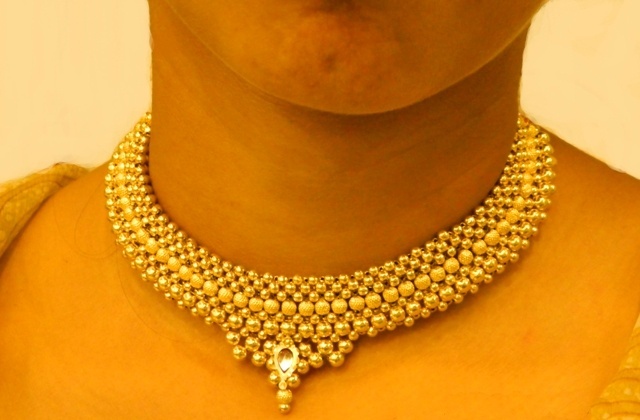 A thushi is usually worn like a neck tight choker necklace as in below image.